Today is February 14th, and Valentines and couples all over the world celebrate this day with their loved ones. The shops started one week before to sell valentine cards and accessories and all I could see for one week was the colour red. But this doesn’t mean that only couples can send each other nice messages or flowers. Friends that we hold dear can also be remembered on this day and how important the friendship is to us. Saint Valentine’s Day, commonly shortened to Valentine’s Day, is an annual commemoration held on February 14 celebrating love and affection between intimate companions. It is traditionally a day on which lovers express their love for each other by presenting flowers, offering confectionery, and sending greeting cards The day first became associated with romantic love in the circle of Geoffrey Chaucer in the High Middle Ages, when the tradition of courtly love flourished. Modern Valentine’s Day symbols include the heart-shaped outline, doves, and the figure of the winged Cupid. Since the 19th century, handwritten valentines have given way to mass-produced greeting cards. Valentine’s Day started in the Roman Empire in the ancient Rome to honour Juno, the queen of the Roman Gods and Goddesses. The Romans also recognized her as the Goddess of women and marriage. The following day, February 15th, began the Feast of Lupercalia. The lives of young boys and girls were strictly separate however; one of the customs of the young people was name drawing. On the eve of the festival of Lupercalia the names of Roman girls were written on slips of paper and placed into jars. Each young man would draw a girl’s name from the jar and would then be partners for the duration of the festival with the girl whom he chose. Sometimes the pairing of the children lasted an entire year, and often, they would fall in love and would later marry. The history of Valentine is shrouded in mystery, but we have all seen that it’s been a month of romance. St. Valentine’s Day contains both of Christian and Roman tradition. One legend tells that Saint Valentine was a priest who served during the time of Emperor Claudius II Rome was involved in many bloody and hated campaigns that gave him the name “Claudius the Cruel”, and this made it difficult for him to make soldiers join his military force. In his mind, he believed that the roman men did not want to leave their loved one and families and because of this, Claudius cancelled all marriages and engagements in Rome. Seeing the frustration, he and Saint Marius aided the Christian martyrs and secretly married the couples. For this deed, Saint Valentine was dragged before the Prefect of Rome who condemned him to be beaten to death with clubs and to have his head cut off. He suffered his martyrdom on the 14th day of February around year 270. Another story tells the tale that Valentine may have been killed for attempting to help Christians escape harsh Roman prisons were they often would be beaten and tortured. The third story was that Valentine sent the first valentine greeting himself. But it is believed that while in prison, Valentine fell in love with a young girl, who may have been the jailors daughter that visited him. Before his death, Valentine wrote her a letter which he signed “from your Valentine,” an expression that is still used today. In ancient Rome, February was the official beginning of spring and was considered a time for purification. Houses were ritually cleansed by sweeping them out and then sprinkling salt and a type of wheat called spelt throughout their interiors. Lupercalia, which began at the ides of February, February 15, was a fertility festival dedicated to Faunus, the Roman god of agriculture, as well as to the Roman founders Romulus and Remus. To begin the festival, members of the Luperci, an order of Roman priests, would gather at the sacred cave where the infants Romulus and Remus, the founders of Rome, were believed to have been cared for by a she-wolf or lupa. The priests would then sacrifice a goat, for fertility, and a dog, for purification. The boys then sliced the goat’s hide into strips, dipped them in the sacrificial blood and took to the streets, gently slapping both women and fields of crops with the goat hide strips. Far from being fearful, Roman women welcomed being touched with the hides because it was believed the strips would make them more fertile in the coming year. Later in the day, according to legend, all the young women in the city would place their names in a big urn. The city’s bachelors would then each choose a name out of the urn and become paired for the year with his chosen woman. These matches often ended in marriage. 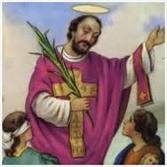 Pope Gelasius declared February 14 St. Valentine’s Day around 498 A.D. The Roman “lottery” system for romantic pairing was deemed un-Christian and outlawed. Later, during the middle Ages, it was commonly believed in France and England that February 14 was the beginning of birds’ mating season, which added to the idea that the middle of February, Valentine’s Day should be a day for romance. The oldest known valentine still in existence today was a poem written by Charles, Duke of Orleans to his wife while he was imprisoned in the Tower of London following his capture at the Battle of Agincourt. The greeting, which was written in 1415, is part of the manuscript collection of the British Library in London, England. Several years later, it is believed that King Henry V hired a writer named John Lydgate to compose a valentine note to Catherine of Valois. In Great Britain, Valentine’s Day began to be popularly celebrated around the seventeenth century. By the middle of the eighteenth century, it was common for friends and lovers in all social classes to exchange small tokens of affection or handwritten notes. By the end of the century, printed cards began to replace written letters due to improvements in printing technology. Ready-made cards were an easy way for people to express their emotions in a time when direct expression of one’s feelings was discouraged. Cheaper postage rates also contributed to an increase in the popularity of sending Valentine’s Day greetings. Americans probably began exchanging hand-made valentines in the early 1700s. In the 1840s, Esther A. Howland began to sell the first mass-produced valentines in America. According to the Greeting Card Association, an estimated of 1 billion valentine cards are sent each year, making Valentine’s Day the second largest card-sending holiday of the year. An estimated 2.6 billion cards are sent for Christmas. 85% of all valentine cards are also purchased by women around the world. This poem was written to honour the first anniversary of the engagement of King Richard II of England to Anne of Bohemia. A treaty providing for a marriage was signed on May 2, 1381. (When they were married eight months later, they were each only 15 years old). Valentine’s Day has almost become a national holiday in the world known by everybody. Paper Valentines became so popular in England in the early 19th century that they were assembled in factories. Fancy Valentines were made with real lace and ribbons, with paper lace introduced in the mid-19th century. In the UK, just under half the population spend money on their Valentines and around 1.3 billion pounds is spent yearly on cards, flowers, chocolates and other gifts, with an estimated 25 million cards being sent. The reinvention of Saint Valentine’s Day in the 1840s has been traced by Leigh Eric Schmidt. Shops selling cards and other romantic gifts can be seen several days before the festivity starts. Florists that have their best business of the year, prepare beautiful bouquets of exotic flowers. 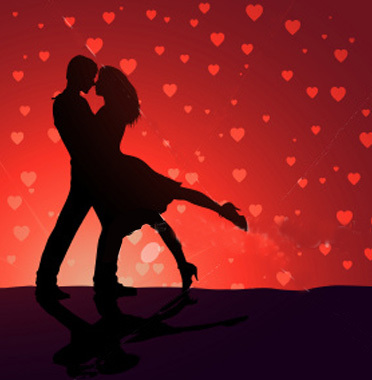 The most popular way to celebrate Valentine’s Day is to go to a romantic dinner and spend time with the loved one. Although many criticize it also and think that it is only a money industry luring people to spend money, there are those who don’t want to celebrate it because it is an ancient Roman tradition. No matter what it is, I think it is sweet that people express their love to one another and take the opportunity to spend time together to nourish the relationship. The Festival of Love was one of the festivals of the pagan Romans, when paganism was the prevalent religion of the Romans more than seventeen centuries ago. In the pagan Roman concept, it was an expression of “spiritual love”. There were myths associated with this pagan festival of the Romans, which persisted with their Christian heirs. Among the most famous of these myths was the Roman belief that Romulus, the founder of Rome, was suckled one day by a she-wolf, which gave him strength and wisdom. The Romans used to celebrate this event in mid-February each year with a big festival. One of the rituals of this festival was the sacrifice of a dog and a goat. Two strong and muscular youths would daub the blood of the dog and goat onto their bodies, then they would wash the blood away with milk. After that there would be a great parade, with these two youths at its head, which would go about the streets. The two youths would have pieces of leather with which they would hit everyone who crossed their path. The Roman women would welcome these blows, because they believed that they could prevent or cure infertility. Indeed, Islam is the religion of altruism, true love, and cooperation on that which is good and righteous. We implore Allah Almighty to gather us together under the umbrella of His All-encompassing Mercy, and to unite us together as one man. Allah Almighty says: (The believers are naught else than brothers. Therefore make peace between your brethren and observe your duty to Allah that haply ye may obtain mercy.) (Al-Hujurat 49: 10) Focusing more on the question in point, I can say that there are forms of expressing love that are religiously acceptable, while there are others that are not religiously acceptable. Among the forms of love that are religiously acceptable are those that include the love for Prophets and Messengers. It stands to reason that the love for Allah, and His Messenger Muhammad (peace and blessings be upon him) should have the top priority over all other forms of love. Islam does recognize happy occasions that bring people closer to one another, and add spice to their lives. However, Islam goes against blindly imitating the West regarding a special occasion such as Valentine’s Day. Hence, commemorating that special day known as the Valentine’s Day is an innovation or bid`ah that has no religious backing. Every innovation of that kind is rejected, as far as Islam is concerned. Islam requires all Muslims to love one another all over the whole year, and reducing the whole year to a single day is totally rejected.